Hormones are important chemical messengers that are secreted by various glands in your body. The amount of a particular hormone in relation to another has a direct effect on your overall health. Hormones are part of what is called the endocrine system. They are supposed to function as a unit, but that does not always happen. If one of them is not produced in the right amount, it can affect the proper function of your body. Synthetic Means of Treating Hormone Imbalance. The conventional methods used to treat hormone imbalance usually include taking pills and much more. However, by using these synthetic methods, it leads to more complications. One disadvantage of using synthetic means to treat hormone imbalance is that it causes dependence. People usually end up with lifelong addictions that require treatment. Besides that, synthetic measures do not treat the imbalance; they merely mask it. For lasting treatment of hormonal imbalance, a person should rely on natural methods. If you want to maintain hormone balance, it is important that you eat all variety of fatty acids. That means your diet should contain long, medium, and short-chain fatty acids. The body requires all of these types of fats to create the various hormones in the body. They are also important for weight loss, metabolism, and keeping inflammation low. The best natural source of non-inflammatory, healthy fats is avocados, coconut oil, wild salmon, and grass-fed butter. Coconut oil has numerous uses. It is known that the oil contains fat-burning and anti-bacterial properties. Avocados are great for the health of your heart, being a good source of fiber, and other nutrients like potassium. Salmon is also a great source of natural fats. It provides the body with omega-3 fatty acid, which is associated with cognitive function. 2. How Much Omeg-3 you take in Relation to Omega-6. Since the use of refined vegetable oils became widespread, the amount of omega-6 in out diet has shot through the roof. However, people have also failed to boost the amount of omega-3 they take in their diet. It thus means that people have some elevated levels of omega-6 in their bodies, in an unhealthy way. It has resulted to chronic illnesses, most of which can be traced to the inflammatory process caused by hormone imbalance. There is thus a need to boost the uptake of the right kind of fatty acids to avoid some of these complications. Research shows that an imbalance of these two types of fatty acids leads to mental problems. If you want to avoid an imbalance, avoid oils that are high in omega-6 fatty acids. They include sunflower, corn, peanut, canola, and soybean oil. Besides that, ensure that you boost the amount of omega-3 in your diet by using sources such as flaxseed, chia seeds, grass-fed animal products, and walnuts. The role of sleep in the body is quite important. Without getting enough sleep, your body’s hormone balance will be hard to maintain. 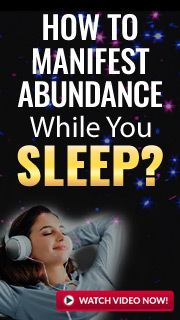 When you go to sleep, the body begins the process of getting rid of toxins in the body. Besides that, it allows your mind to rest, and it begins to produce hormones. Failing to get enough sleep, even for one night can have a huge effect on the hormone balance in the body. Lack of enough sleep has been associated with hormone levels of a pre-diabetic. To ensure that you get enough sleep, ensure that you improve your sleep environment. “¢ Get rid of any artificial light or sounds that may affect how much sleep you get. “¢ Remove chemicals from the area where you sleep. It will entail using a non-toxic mattress to sleep on. “¢ Have a regular sleep cycle. It will help support your body’s natural rhythms. Go to sleep and wake up on a predetermined schedule every day of your life. “¢ Eat a diet that is high in protein just before bed. The proteins are needed to help your body produce hormones as you sleep. However, you may find that you have trouble going to sleep. These few tips should help you get some sleep, which is important for balancing the hormone levels in your body. “¢ Get a lot of natural light. Natural light has a wide spectrum, which helps to boost serotonin in the body. It is an important balance to melatonin in the body during sleep. If you cannot get a lot of sunlight every day, ensure you get at least 30 minutes of it per day. “¢ Stay away from artificial light after the sun goes down. Simply install this free tool on all your electronic devices. It reduces the blue light effect and helps you to sleep well. “¢ During the day, consume water. However, avoid drinking water just before sleep. That way, you will not have to wake up during the night, which will interrupt your sleep. “¢ Meditate just before bed. The calming effects of meditation on the sleep cycle have been well documented. It helps to reduce stress, which can cause you to lose sleep at night. Exercise could also contribute to hormone imbalance. Too much cardio has been known to cause an over production of stress hormones. All the running and spinning puts too much pressure on the body, which impairs the body’s ability to produce the right amount of hormones. If your body test shows that you have adrenal fatigue, you may have to avoid cardio for a month. However, if you take relaxed strolls in a nature park, you will get the restorative and invigorating exercise that your body needs. Nature walks have been proven to reduce the amount of cortisol in the body, which is a good thing. A high cortisol level in the body is often associated with inflammation and hormonal imbalance. Walking is also a good way to stimulate the lymphatic system. By doing so, it helps it to get rid of toxins in the body, which may affect normal hormone production in the body. Besides that, walking is a great way of doing exercises for various muscles in the body without putting too much stress on the body. Cindy Warren is a natural beauty blogger. She has written a variety of articles on natural and organic skin care methods, especially on acne treatment. You could get connected with her on her website www.beskinhost.com. Or follow her Facebook, Twitter and Pinterest.